INDIO, CA – (April 5, 2017) Updated: May 2, 2017: The Greater Coachella Valley Chamber of Commerce announced former Mayor of Los Angeles and declared candidate for Governor of California, Antonio Villaraigosa, has agreed to headline the 2017 All Valley Legislative Lunch on Friday, May 12th at the Fantasy Springs Special Event Center in Indio. The Annual event is hosted this year by the Greater Coachella Valley Chamber of Commerce and presented in partnership with the Cathedral City Chamber of Commerce, Palm Desert Area Chamber of Commerce, Palm Springs Chamber of Commerce, Indian Wells Chamber of Commerce, Thousand Palms Chamber of Commerce and Rancho Mirage Chamber of Commerce. The All Valley Legislative Lunch is an opportunity for the community to hear directly from local leaders on issues important to business in the Coachella Valley. Invitations have been extended to County, State and Federal office holders; so far confirmed speakers include Assemblymember Chad Mayes, Assemblymember Eduardo Garcia and State Senator Jeff Stone. The event offers each guest a chance to update legislation and significant progress in their branch of government, as well as participate in a round table discussion on issues important to local chamber members. Antonio Villaraigosa is a current candidate for Governor of California in 2018. Prior to being a candidate for Governor, he served as the 41st Mayor of Los Angeles, a member of the California State Assembly, the Democratic leader of the Assembly, and the Speaker of the California State Assembly. He was elected to the Los Angeles City Council in 2003 and served until he was elected Mayor in 2005. 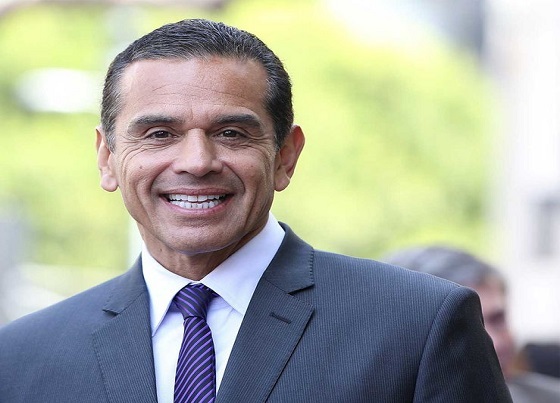 Villaraigosa is a member of the Democratic Party, and was a national co-chairman of Hillary Clinton’s 2008 presidential campaign, a member of President Barack Obama’s Transition Economic Advisory Board, and Chairman of the 2012 Democratic National Convention in September 2012. Tickets for the event are now on sell now at Eventbrite. For additional information contact the chamber at 760.347.0676. The Greater Coachella Valley Chamber of Commerce (The Chamber) is a regional chamber of commerce representing the business interests of over 1,400 members in the Coachella Valley. It was formed as a partnership between the Coachella, Indio, and La Quinta Chambers of Commerce, as well as the Cabazon Band of Mission Indians and Twenty-Nine Palms Band of Mission Indians. The Chamber is the largest regional chamber in Riverside County.